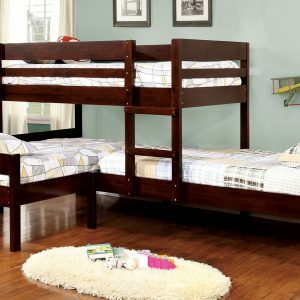 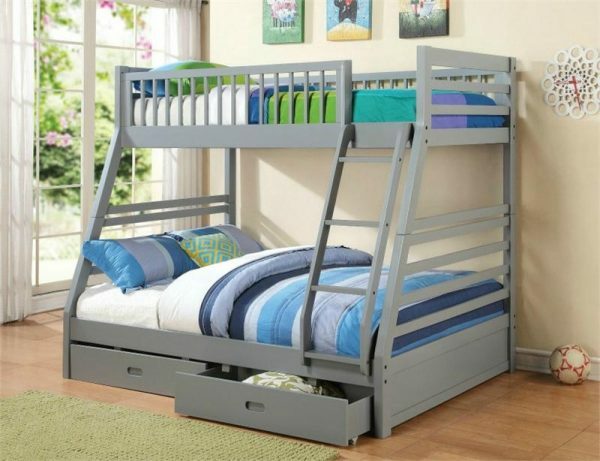 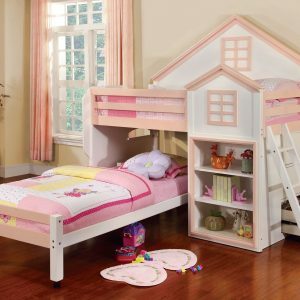 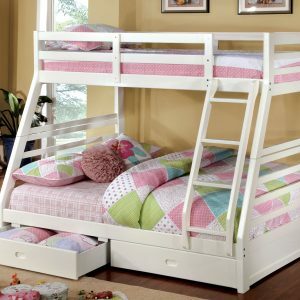 With space saving features, the warm designs and functional character of this twin over full bunk bed will make a wonderful addition to your children’s bedroom. 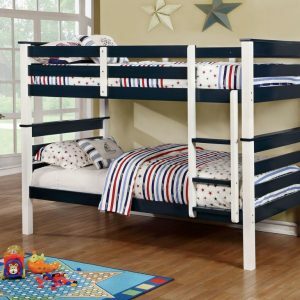 Clean lines in a navy blue, grey or cappuccino finish contribute to relaxed style, while the built in guard rail and ladder add to safety and convenience. For added storage, included are two roll out storage drawers located underneath the bunk bed.